Washington, DC – Today, Congresswoman Julia Brownley (D-CA) attended the Medal of Honor ceremony for Sergeant Major (Ret.) John Canley of Oxnard, who received the prestigious honor for his heroism during the Vietnam War. 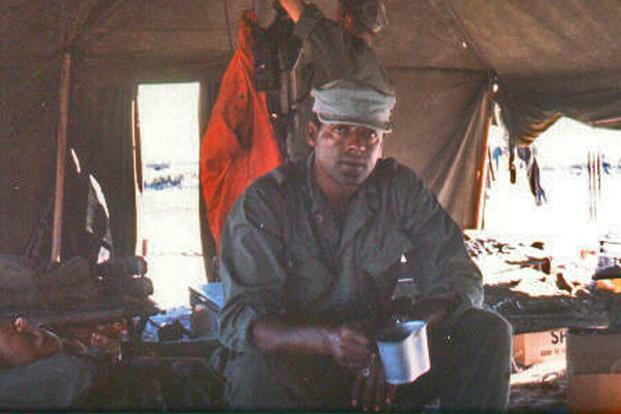 Sergeant Major Canley served as a Marine for 28 years, including service during the Vietnam War. His actions as Company Commander of Alpha Company, 1st Battalion, 1st Marine Regiment, during the early days of the Tet Offensive in Hue City, Vietnam, saved the lives of many Marines and sailors. In 1968, during the Battle of Hue, his commanding officer was gravely wounded, so then-Gunnery Sergeant Canley took immediate command of his company, directing several counter attacks over many days, advancing the war strategically, and saving many American lives. More than a dozen eyewitness statements corroborate this account. For his extraordinary heroism, Canley received the Navy Cross, as well as two Bronze Stars and a Purple Heart. In 2014, one of Sergeant Major Canley’s fellow servicemembers contacted Congresswoman Brownley’s office to request that she recommend that Canley’s medal be upgraded to the Medal of Honor – the highest military honor awarded by the U.S. government. Brownley’s office submitted the documentation requesting that the Department of Defense review Sergeant Major Canley’s records, and in December 2017, after several years of review by the U.S. Marine Corps and the Department of Defense, Secretary of Defense Mattis sent Congresswoman Brownley a letter stating that he agreed that Canley’s actions merit award of the Medal of Honor. However, Secretary Mattis noted that Congress would need to pass legislation to waive the five-year time limit on awarding the Medal of Honor. Congresswoman Brownley authored legislation to waive the time limit to make Canley eligible to receive the medal. Her bill was signed into law in January. Today, Sergeant Major Canley – at long last – received the Medal of Honor.